Spring is a time when the weather gets warmer, the flowers bloom, and the birds sing. It might also rain blood now and then. 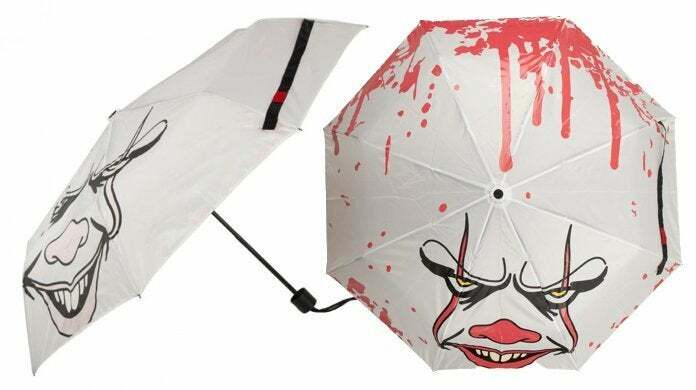 When that does happen, this officially licensed umbrella based on Bill Skarsgard's Pennywise from the new adaptation of Stephen King's IT is the right tool for the job. As you can see, the canopy features a minimalist Pennywise-themed design, but the special feature here is the liquid reactive fabric that changes color and reveals the clown makeup and blood splatter when wet. You can pre-order one right here for only $22.99 with free shipping slated for June. On a side note, there's a famous behind-the-scenes photo of Tim Curry holding an umbrella and smoking a cigarette in full Pennywise makeup from the original IT miniseries. I pictured this umbrella in his hand and laughed. In other strange Stephen King merch news, an officially licensed The Shining doormat was recently released and it's available to pre-order here for only $34.99 with free shipping slated for April 30th. 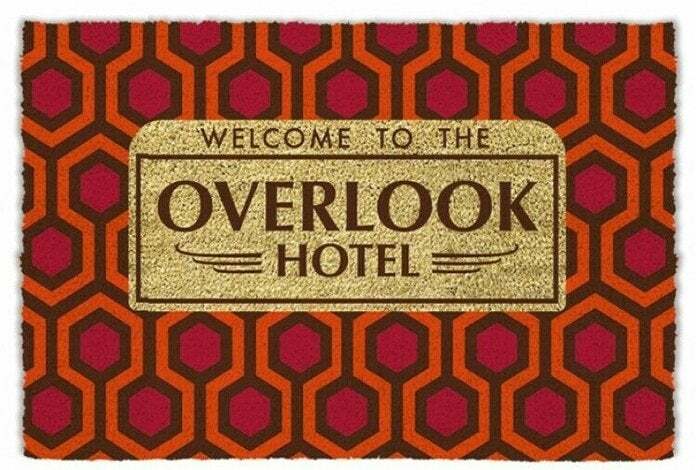 It even incorporates a "Welcome to the Overlook Hotel" design, which should help make your guests feel right at home. There have been many replicas of the Overlook Hotel carpet featured in Stanley Kubrick's classic film adaptation of Stephen King's The Shining. However, an officially licensed pattern based on David Hicks' original 1960s design can set you back thousands of dollars - and that's only for a rug version. That makes this doormat seem like an absolute steal. IT: Chapter Two is slated to hit theaters on September 6th, 2019.